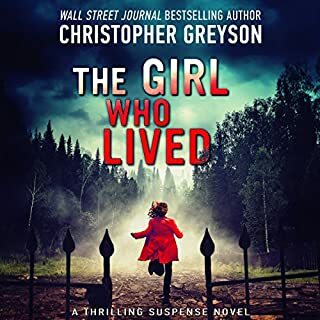 Nine-year-old Carrie Parker and her mother, Libby, are making a fresh start in the small town of Hartsville, North Carolina, ready to put their turbulent past behind them. Violence has shattered their family and left Libby nearly unable to cope. And while Carrie once took comfort in her beloved sister, Emma, her mother has now forbidden even the mention of her name. When Carrie meets Ruth, Honor, and Cricket Chaplin, these three generations of warmhearted women seem to have the loving home Carrie has always dreamed of. But as Carrie and Cricket become fast friends, neither can escape the pull of their families' secrets. In many ways, Carrie Parker is like any other eight-year-old: playing make-believe, dreading school, dreaming of faraway places. 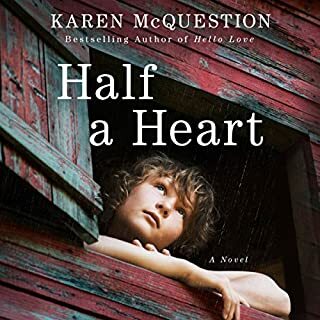 But even her imaginative mind can't shut out the realities of her impoverished North Carolina home or help her protect her younger sister, Emma. By turns achingly naive and utterly pragmatic, Carrie has been shaped by the loss of her beloved daddy and by a drunken stepfather and her emotionally absent mother. Charting an astonishing course of survival for herself and Emma, she hopes to transform their lives into one more closely resembling the storybooks she treasures. 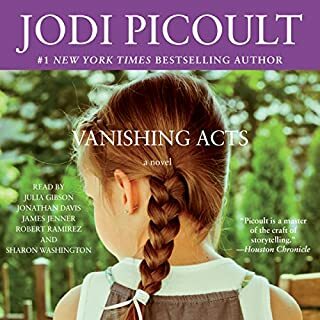 But after the sisters' plan to run away from home unravels, their world takes a shocking turn, and one shattering moment ultimately reveals a truth that leaves everyone reeling. Narrated with the simplicity and unabashed honesty of a child's perspective, Me & Emma is a vivid portrayal of heartbreaking loss of innocence, an indomitable spirit, and incredible courage, a story that will resonate with readers long after they've heard the final sentence. 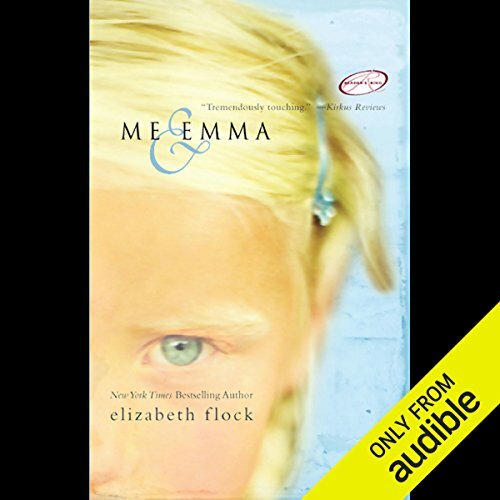 ©2004 Elizabeth Flock (P)2006 Audible, Inc. The main character in this story, Carrie, is also the narrator and tells the story in her voice and tells about her life and of her sister Emma. After Carrie's father dies suddenly, her mother remarries and life takes a turn for the worse for the family, as her mother is extremely depressed and her new stepfather is extremely abusive, at one time chaining her out back like a dog and feeding her dog food. Carrie's narration pulls you in and really tugs at your heart, so much so that I found it difficult to stop listening to this book. It was very well written with well developed characters and interesting plot and conclusion. Overall, it will leave the listener feeling somewhat sad because of the nature of the material, so if you are looking for an uplifting book this one isn't it. Still, it's an excellent read and well worth the time. This book is brilliantly written and read but to me it was scarier than the most gruesome works in the "horror" genre. Just a warning, if you are sensitive to emotional issues from childhood, reading this book may be difficult. It was certainly not an escape to a "nice read". It was hard for me. The story is compelling, as others have said, and the ending is hopeful but I had to pace myself and read it only when in a good place with my head. It just seems like the tip of the iceberg in terms of what goes on in families that make poor choices and then have children, and opens one's eyes to the plight of so many abused and under-resourced young people in this country. I loved this book - the best one I have ever listened to! The reader was perfect for this book. I highly recommend it. After having only finished listening to this book three days ago, I've started to listen to it again. The author did an astounding job at capturing the emotions of an abused child. I was completely enchanted with the main character from the very beginning. In part because of the wonderful narration. This however, is not a feel good book. It is gripping, enlightening, and poignant, but it is also dark, and sometimes painful to listen to due to the subject matter. 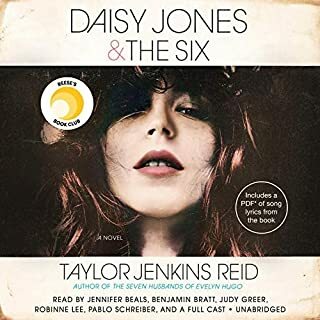 Of the many stories I've enjoyed from Audible, this one has really stuck with me. It's a great story, though not easy to hear at times due to the subject matter. But you should really check out the truly astounding narration; it is a child reading in the first person as Carrie. When I first heard the young voice, I couldn't believe she could carry me through the entire book. Wow, I found it to be a great listening experience. Highly recommended. I had no idea what I was getting into when I bought this book, thought it might be like My Sister's Keeper. It was fabulous. It touched me more than any book I've read in a long time, and will stick with me for a long, long time. The narrator is absolutely superb. This would be a perfect book for a book club discussion group. I wanted to talk about it all the time, but to try to describe to someone who hadn't read it would have been impossible. Thank you, Elizabeth Flock and your wonderful young narrator. I really did like this book although I thinks parts of it dragged on. The narration was superb. It is so sad an the ending was not what I thought at all. I really recommend this book. If you enjoy stories from a child's perspective, you will probably like this story. A better narrator could not have been chosen for this book, Lauren Davis sounds like a young girl and the accent is perfect. The subject matter is dark, but the main character " Carrie " is such a sweet girl you can't help but feel sorry for her for all she has to goes through. 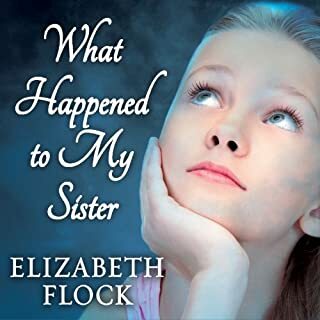 If you like "Me & Emma" then you will want to read the sequel, "What Happened to My Sister" . 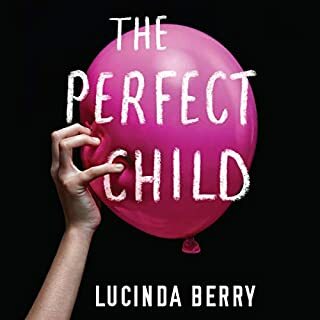 Unfortunately the same narrator is not used, although the narrator of the sequel is ok, she's not Lauren Davis who is probably one of the best narrators available to do a young child's voice. This book was such a piece of trash. I don't know how it ended up in my reading list. I had two major problems with it. 1. I have never seen a more obvious twist coming so soon. This is so obvious that the title just screams it and every page confirms it. So disappointing. I spent the whole book hoping she'd just get this out of the way and not wait until the end. I find it hard to believe anyone was surprised by this. This kind of plot twist seems to have been done to death recently. Maybe it's just become really dated in the last eight years. This is one reason I try to avoid old books. 2. The delusion is such a load of nonsense. That kind of delusion just doesn't exist. Where the deluded is 100% convinced by their own delusion. For example most people with schizophrenia KNOW they have schizophrenia. They hear voices they know aren't there. And see things that they KNOW aren't there. People who do actually suffer something close to full delusion would by no means be as capable and functional as Carrie. And no Doctor would ever recommend going along with the delusion. Also the mother just didn't make any sense as a character. Carrie's father seemed like a lovely man, and her mother an utter beast. How were these two people ever married? There was no indication that the mother was ever a good mother / person. Otherwise the actual writing was pretty good. But overall this book is so utterly flawed. And the narration was really good. Audiobooks are mostly a bit iffy when it comes to children but this was pretty flawless.